The academic rules relating to admission, admission cancellation, re-admission, withdrawal of studentship, credit transfer, registration, workload policy, restriction on registration, adding and dropping courses, withdrawal from registered courses, dropping semester/leave of absence, Examination, examination committee of the departments, functions of the examination committee, exam time table, examinations routine, students` responsibilities during examination, disciplinary action due to examination related offence, leaving the examination hall, question setters and scripts examiners, duties and responsibilities of the question setters, responsibilities of scripts examiners, format of question papers, questions moderation, duties and responsibilities of the chief invigilator, duties and responsibilities of invigilator, marking the examination scripts and submission of marks, evaluation of the examination scripts, announcement of Mid -Term marks, aggregate of 50 marks, result tabulation, marks correction, policy for special examination, scope for special final examination, policy for special course arrangement, policy for improvement of a grade, appeal for re-evaluation of examination result, grading system, question moderation, disciplinary actions and other related rules on registration & examination are given in Part A and Part B as under (Approved in the 192nd Syndicate dated 05.04.2016). These “Rules & Regulations” will help to develop a sustainable academic culture for quality education at IIUC. The Faculties shall also follow these as part of Ordinances. 1. Examination: An Examination is an assessment intended to measure the knowledge, skill and aptitude of a student. 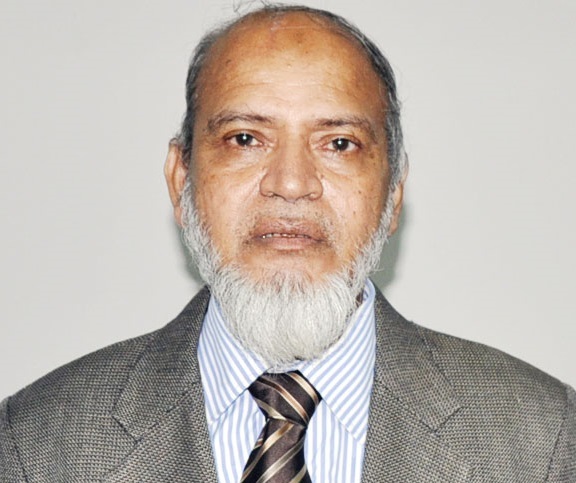 The International Islamic University Chittagong (IIUC) is not merely an examining body. It is rather basically a "nursery to create good citizens". We therefore emphasize the diffusion of scientific, technical and professional knowledge on the one hand, and building up of character in youth by making religion and ethics an integral part of education on the other. One of the essential characteristics of an Integrated Education System is the Continuous Evaluation Process. In this process a student is evaluated in a multidimensional manner, such as, (a) his punctuality in attending the classes (b) his ability to perform Class Tests and Assignments in time, and (c) his scores in the Mid-Term & Final Examination. Apart from these, there is a Viva-Voce Board (Oral Examination) at IIUC for all Undergraduate programs. Viva-Voce helps a graduate to gain confidence in their own ability, and provides a final wake up call to take learning seriously. It is also valuable to take early preparation for professional oral Examinations and is useful to enhance employment interview skills. He/she is officially registered in such a course. He/she has to fulfill the Class Attendance Requirement: The students having class attendance between 70% to 60% in a course will be declared Non-Collegiate and they will have to pay Tk.500/- per course, and the students having class attendance below 60% will be declared Dis-Collegiate in that course. They will be barred from attending in the Final Examination in particular course. They will get ‘F’ grade in the semester result. Payment of dues and charges: An enrolled student will pay the dues and charges for his/her course. A registered student is required to attend the Semester Final Examination in all courses for which the registration was done. If any student is found absent without valid reasons acceptable to the University authorities, he/she will deemed to have failed the course irrespective of marks obtained in his/her course (i.e. class test, assignment and Mid-Term Examination etc. An “X” grade, which is regarded equivalent to “F” will be, recorded in the semester transcripts. requirements (article 2.1a – d) for eligibility to sit for an Examination. Semester Final Examination may be withdrawn or reduced as the University authority decides on individual case–by-case basis. Mentionable that Registration must be completed through online as soon as possible after students have been notified. Registration enables a student to attend his/her course and access to University facilities, such as the Library, IT Services and Applying for waiver and financial assistance etc. 3.2 Responsibility of the Department and IT Division: For online registration course offering list, class-routine and other information of the respective Department must be entered into the system in due time. ITD shall cooperate to ensure this. N.B. Registration of improvement course/courses or internship/project/Viva-Voce will not be counted with the total work load. 3.4 Restriction on Registration: Students who will not clear all prescribed courses of 1st& 2nd Semester within the 4th Semester will not be allowed to get registered in the 5th Semester courses. Students who will not clear all prescribed courses of 3rd& 4th Semester within the 6thSemester would not be allowed to get registered in the 7th Semester courses. 3.5 Unregistered: If any student fails to complete the course registration within the deadline, he/she shall be considered as unregistered student for that particular Semester and consequently, he/she shall be barred from attending any class or Examination. 3.6 Adding and Dropping Courses: Students may add course/s to, or drop course/s from that they have already registered. To add and drop course/s, prescribed Add & Drop Form [available from the Controller of Examination (CoE) office] must be filled up and submitted to the respective Departmental office within first week of the current semester .These applications will be recommended by the academic advisor and approved by the Head of the Department . Departmental Head shall forward the Add/Drop applications to the concerned CoE office for necessary action. The total numbers of credit hours after add and drop exercise must be in adherence to the academic workload policy. (article3.3). 3.7 Withdrawal from Registered Courses: Students may apply for the withdrawal of courses that they have already registered for. The withdrawal exercise shall be done immediately after Mid-Term (i.e.9th to 10th week of the relevant Semester). The total number of credit hours after withdrawal must not fall below 12 credit hours, as specified above (article 3.3). A grade “W” is assigned to the courses that have been withdrawn. “W” is deleted from Final Transcript. Procedure of submission of application for Course-Withdrawal is same as 3.7. 3.8 Dropping Semester/Leave of Absence: A student may apply in a Prescribed Form (available at CoE) for Semester Drop or a leave of absence stating valid ground . The student must apply for Dropping the semester during the registration period. No fees will be imposed during such leave. A student who is suffering from a prolonged illness may request for a further period of leave of absence on medical ground by writing to CoE through Head of the Department. Drop duration will be calculated with the total duration of the Program as shown in Table- 8.1.5.(i.e. For undergraduate program maximum 12 Semesters including drop period). If any student is found absent or unregistered without having permission for a whole semester, he/she has to bear the Semester fee for the respective Semester to continue his/her study. However, if any student is found absent or unregistered without permission as shown in Table 8.1.5, he/she will be considered as discontinued student. If such student wishes to continue the study, an appeal may be made to the authority through proper channel for re-admission. Special Final Examination for overlapped courses (only one course). If any Examination not being held within the schedule date due to unavoidable circumstances, it will be held on the following Friday/Holiday/at the end of the schedule date. This will be announced by the CoE with the approval of the competent authority. 5. Policy for Special Examination: There are policies for (i) Special Final Examination, (ii) Completion of course under Special Arrangement / Independent study for the Graduating student and (iii) for repeating a course for Improvement of previous Grade. Question papers of these Examinations shall be moderated by the respective Examination Committee and the concerned Department will be responsible for conducting the Examination. . The Examination date for Special Examinations will be announced during Final Examination by the CoE with the approval from the competent authority. scored ‘F’ grade only one course in the graduating semester. 5.1.1 Policy for Special Final Examination for overlapped courses for all semesters ( only one course): The application period for Special Final Examination (SFE) for overlapped course is within 72 hours of the publication of Final Examination Schedule. To get approval of SFE, the incumbent has to submit an application in a prescribed format with supporting documents (Copy of Examination schedule and admit card) to the office of the concerned Head of the Department. The Head of the Department shall forward immediately all applications at a time with his recommendation to the Controller of Examination (CoE) for approval by the competent authority of IIUC and a list will be published from the office of CoE. Then he/she has to sit for SFE as per schedule announced by the CoE. Special Final Examination of this category will be held during Final Examination schedule or before the publication of Semester result. Special Final Examination fee will not be applicable for the overlapped course. 5.1.2 Policy for Special Final Examination, who could not attend only one course due to serious illness/accident/delivery/ death of close relatives: parents, siblings and husband/wife: Only graduating/outgoing students of the current Semester will be allowed to attend Special Final Examination of a course due to the above reasons. The applicant has to apply to the Head of the Department within 72 hours of the Course Examination held for Special Final Examination explaining the ground with supporting documents (Copy of Examination Schedule, Admit Card and Medical certificate etc.). The Head of the Department shall forward all applications at a time with his recommendation to CoE within 7 days of completion of Final Examination. The office of CoE will take necessary approval from the competent authority for holding the Special Final Examination and a list will be published from the office of CoE. Then he/she has to sit for SFE as per schedule announced by the CoE. There is no scope for Special Final Exam due to normal sickness, or any other case. Sick-bed may be arranged for any sick examinee subject to prior permission. Special Final Examination of this category normally will be held with the Special Examination of “F’ grade. Student will have to pay fees as approved by the authority. 5.1.3 Policy for Special Final Examination for completion of a registered and appeared in Exam course scored ‘F’ grade in the graduating semester: Only graduating/outgoing student of the current semester, who scored ‘F’ grade in one course only will be allowed to attend Special Final Examination of that course.The applicant has to apply to the Head of the Dept. immediate after publication of the Semester result for attending Special Final Exam of a course obtaining ‘F’ grade. The Head of the Department shall forward all applications at a time with his recommendation to CoE within 7 days of completion of Final Examination. The office of CoE will take necessary approval from the competent authority for holding the Special Final Examination normally within 2nd week of the commencement of the Semester, and a list will be published from the office of CoE. Student will have to pay fees as determined by the authority. If the course is not going to be offered in the next two Semesters. Urgency of completion under special ground for any foreign student. For Special Arrangement, the applicant has to apply to the Head of the Department in a Prescribed Format within 7 days of the commencement of the Semester. The Head of the Department shall forward all applications at a time with his recommendation to CoE for obtaining approval from Pro Vice-Chancellor. After final approval a letter will be issued from the office of CoE to the concerned teacher assigned for Special Arrangement. Accordingly the incumbent has to complete Registration by paying fees as determined by the authority. The duration for completion of the course including Examination may be 1 to 3 months. Question papers shall be moderated by the Examination Committee and the concerned Department will be responsible for conducting the Examination. Double Tuition Fee shall be charged for a batch of one student in a particular course and normal Tuition Fee shall be charged for a batch of two or more students. There is no scope for Special Arrangement for the course/s which is/are offered by the Department or Center in the existing Semester (unless it is only remaining).The Examination date for Examinations will be announced by the CoE with the approval from the competent authority. 5.3.6. Graduating students whose result has been recommended for graduation by the CBE shall not be eligible for Improvement. his/her marks has not been counted. The performance of a student will be evaluated in terms of semester grade point average (GPA) and cumulative grade point average (CGPA) which is the grade average for all semesters. To have graduation degree a student must obtain CGPA at least 2.5. This policy will be effective from Autumn-2017 semester for newly admitted students and onwards. (Ref: 204th Syndicate Meeting held on 23rd September 2017). where, n represents the number of courses offered during the semester, Ci represents the number of credits allotted to a particular course and Gi represents the grade point earned for that course. where, m represents the total number of semesters being considered, Ck represents the total number of credits registered during a semester and Gk represents the GPA of that particular Semester. 8.1.1 A student who is dismissed on disciplinary ground will not be considered for re-admission. 8.1.2 The student may be Re-Admitted on medical/emergency reasons to the semester where the CGPA is good standing. Dropped Semester(s) will be counted during re-admission case. 8.1.4 The decision on the appeals for re-admission will be valid subject to the provision of the University Rule. below may be Re-Admitted within 2 (two) academic years provided CGPA ≥ 2 for the students admitted before Autumn 2017 and CGPA ≥ 2 .50 for the students admitted in Autumn 2017 & after. 8.2.1 A Re-Admitted student should achieve GPA 2.00 at the least in the first Semester after Re- Admission and failure to do so will lead to dismissal. No further appeal for Re-Admission will be considered. 8.2.2 A Re-Admitted student should normally carry a workload of not more than 12 (twelve) Credit Hours. He/she can carry a heavier workload only with the approval of the Head of the Department/Dean of the Faculty on the recommendation of the Academic Adviser. 9. Disciplinary Expulsion: A student who is expelled on disciplinary ground cannot appeal for re-Admission. As a politics free Private University it absolutely prohibits any political activities direct or indirect within the University Campus. It totally bans any type of demonstration, procession, postering, bannering against the University rules, regulations and administrative decisions. It also forbids any type of organized movement against any academic or administrative staff members of the University. Any student who is found to be involved in any indiscipline activity or violates any of the prohibitions may face Disciplinary Action (Suspension or Expulsion from the University). These disciplinary actions may become a permanent part of the student’s personal record. A student who is expelled for disciplinary reasons cannot appeal for re-admission. He/she fails all courses in 3 consecutive Semesters and obtains CGPA less than 2. He/she fails a course with a grade of (“F”, “X”, “Y”) on the fourth attempt but obtains CGPA less than 2. 10.2 The University also reserves the right to debar, suspend or dismiss any student from the University or any of its classes in academic or institutional interest, if any such step is deemed to be worthy and enforceable. 11.1.1 One Semester prior to graduation, a student should submit a duly filled in check list to the Controller of Examination. 11.1.2 Students intending for graduation should submit an application for graduation to the Controller of Examination in the Terminal Semester in the University. 11.2.1 Have passed all required and elective courses as per program of curriculum. 11.2.2 Be on an acceptable academic standing with a CGPA of at least 2.00. 11.2.4 Have fulfilled the requirements of co-curricular activities. 12.1 Semester Result: Course wise marks posting shall be completed by the office of CoE after 3 (three) weeks of the completion of the Semester Final Examination. CoE shall send the Semester result to the Heads of the Departments for necessary verification. CoE shall ensure the distribution of semester result of each semester to every student before the beginning of the following Semester. The result is for student’s reference only and not permitted to be used for any official purpose. The result produces report including the grades of all courses for that Semester in GPA and CGPA. 12.2 Official Transcripts is issued before graduation and upon written request of a student who has paid up all fees and has no outstanding dues. Partial transcripts may also be issued in the same manner to existing students. However, a fee is charged for partial transcript (or testimonial.) of each Semester. 12.3 Provisional Certificate with Final Transcript may be withdrawn on payment of fee. 12.4 Besides, Original Certificate Subject to surrender of Provisional Certificate may be issued on payment of requisite fee only. These charges will be applied for re-issuance of duplicate certificate and transcript also. 12.5 Head of the Department shall not issue any Testimonial with final graduation grade to a student without financial clearance from ACFD as well as authentic document. 13. Students' Guide to Examinations: The information given as under is a summary of some of the most important matters that a student need to know if he/she is taking an Examination at the International Islamic University Chittagong. 13.1 Registration: Students are required to register for Examinations through registration process within the published deadlines. All students must complete their registration complying the workload/schedule given in line with the range of GPA of the immediate past Semester and abiding by the work load policy (Shown in section 3.3). An outgoing student may register in total 6CH over his regular CH limit. 13.2 Examination Timetable: Semester Mid-Term and Final Examinations will be held in accordance with the published timetable which will be available at least 2 weeks before the commencement of the Examination period and will include the date, time and venue of each Examination. Examinations are held on six days a week from Saturday to Thursday (as shown in sections 4.1 and 4.2). Students should read the Examination Timetable carefully to ensure that they have been correctly informed about their Examinations and know the time, date and location of the Examinations they are required to take. 13.3.1 Students must bring their own pen, pencil, ruler and any other required equipment related to each Examination. These should be kept in a clear plastic pencil case. Valuable items such as keys, purses and mobile telephones may be placed in clear plastic bags provided on each desk and placed under the student’s chair. Mobile telephones must be turned off and no items should be touched during the Examination. 13.3.2 Smoking is strictly prohibited in the Campus as well as Examination room, and food or drink is not permitted in the Examination room. However, if drinking water is required to be carried, it should be contained in a clear plastic bottle having no label. 13.3.3 Students will be brought to the Examination room by an Invigilator shortly before an Examination is due to start. Sitting arrangement must be followed strictly. Students are required to comply with all instructions announced by an Invigilator. Once entered into the Examination Hall, no talking is to be permitted. 13.3.4 Students should be present at the Examination venue 15 minutes before the schedule time. Students who arrive late may be allowed to enter in to the Examination room during the first 30 minutes of an Examination. However, no additional time will be allowed to such late comers. The candidates are not permitted to leave an Examination Hall during the first 30 minutes of commencement of the Examination or the last 20 minutes. 13.3.5 Students shall enter their ID number in words (Example: ET 01240 ET-Zero-One-Two-Four-Zero), not their name, Course Code and Title, Semester and date on the Examination scripts. Students must display their University ID Card and Exam. Admit Card during to all Examinations and place it on their desk throughout the Examination period. These will be checked by the Invigilator. 13.4.3 Any student who leaves the room without an Invigilator’s permission will be deemed to have withdrawn himself/herself from the Examination and will not be allowed to return. The Chief Invigilator will provide a report to the Controller of Examinations Office in such cases. 13.4.4 Any form of unfair means or misbehavior or keeping unauthorized paper/material will be treated as serious offence and breach of academic discipline which may lead to the punishment as mentioned in the table 13.5.113.3.6 Students must not open Examination papers i.e. answer script or start writing until instructed to do so. Once the Examination is started they must write legibly. They are required to write their answers in English/Arabic (as the case may be). They should normally write on both sides of the page. Rough work must be done in the script book and clearly crossed out before handing over the Answer Script to the Invigilator. Where candidates are required to use multiple script books, they must fasten together all the books in order of use with the treasury tag provided. They must sign the Attendance Sheet. 13.4.1 Side or cross talking or communicating in any other way with other students in the Examination room before, during or after an Examination is forbidden. Failure to observe this requirement will be treated as a disciplinary offence. If a student wishes to speak to an Invigilator he/she should raise a hand and stay seated. 13.4.2 The University exercises the zero tolerance policy in relation to cheating or other fraudulent means in Examinations. Invigilators will announce at the beginning of each Examination that it is an offence for students to be in possession of any notes, documents or unauthorized material or to have any information written on their body or clothing or side wall or table. The Invigilators will ask possessors of such material to raise their hands. The material will then be collected and the opportunity will be provided to clear off information from the body or clothing. On completion of this part, if any student is observed to possess such material or with any information written on any part of the body or clothing in the Examination room it will be virtually assumed that unfair-means has taken place and disciplinary action will take its course. 13.5.1 Following disciplinary actions may be taken by the Academic Discipline Committee (ADC) against an Examinee who commits an Examination related offence as shown in the Table 13.5.1. Sl. Offence committed by the Examinee Type of Disciplinary action. 1 Examinees who are detected in the act of communication with one another inside the Examination Hall. The Examination of the remaining period may be cancelled. 2 Absence of Invigilators signature The Examination of that course may be cancelled after proper screening. 3 Examinees who are found with incriminating materials in their possession. The Examination of that course may be cancelled. 4 Examinees who are detected in copying from incriminating materials or from another Script. Examinee may be subjected to the cancellation of the entire courses except Viva-voce, Internship/ Projects and thesis. 5 Examinees who use abusive language or found creating obstructions or disturbances inside the Examination Hall. Examinee may be debarred from appearing in the remaining course/s of the same semester. 6 Examinees found or traced with bringing Answer Scripts into or send out of the Exanimation Hall or replace the cover or any page of Answer Scripts, substitute one answer script or part thereof with another or add extra page to an answer script written by another person. Examinee may be subjected to the cancellation of all courses in the semester or one more semester. 7 Examinees who are found to have written Answer Scripts in unauthorized places or impersonated at the Examination or taken false pleas/advantage of false pleas of illness/ pregnancy/fake pretention. Examinee may be subjected to the expulsion from remaining period of the Examination. 8 Examinees who assault the Invigilator/ Chief Invigilator or commit such other serious offence. Examinee shall be given maximum punishment up to cancellation of that course. 13.6 Leaving the Examination Hall: Students wishing to leave an Examination hall earlier to the expiry time must inform the Invigilator and must remain in their seat until their script has been collected. They must leave the Examination room quietly without noise and must not toiler outside the Examination room. The Invigilator will announce the duration of time remaining at ten and five minutes before the end of the Examination. On reaching the dead end of Examination time, the Invigilator will instruct students to stop writing. In order to minimize disturbance to other candidates, all candidates should remain in their places until the Examination has officially ended, all Examination materials have been collected, and they have been given permission to leave by the Invigilators. They must not remove any answer books or parts of an answer book, whether used or not, or any exam materials provided to them during their exam (statistical tables, data books, etc. ).Candidates must leave and disperse quietly once the Examination is over. 14. Right to Make Changes in Rules: The University authority reserves the right to change the requirements and rules without prior notice as and when the circumstances warrant. Such changes shall take effect as and when the competent authority so determine. 1.2 For Postgraduate or Diploma program: There shall be separate Examination Committee for each Master Degree or Diploma program in a Department to conduct the Examination smoothly. One Expert Member from outside the Department/University. Department, who shall be proposed by the Departmental Academic Committee. Head of the Department will forward the names of the Members of Examination Committees to the Controller of Examination for getting it approved by the Vice-Chancellor. 2.1 To propose the names of the question setters and script/dissertation/project examiners/members for Thesis Defense Board/ members for General Viva-Voce Board from the regular teachers of the Department or outside of the Department to the Controller of Examination for getting approved by the Honorable Vice-Chancellor. 2.2 To conduct Thesis/Project Defense and General Viva-Voce: Normally Examination Committee for 7th& 8th Semester/Masters program will act as Project Defense and General Viva-Voce Board. To complete the Thesis/Project Defense Examination or General Viva-Voce in a day there may be more than one Board/Session if the number of students is large. In that case, these Boards shall be consisting of 4 members i.e. (a) 3 members from the Department concerned, nominated by concerned Examination Committee, (b) One Expert Member from outside the Department/ University .The Chairman of the Examination Committee or a Senior teacher of the Department shall be the Chairman of these Boards. Chairman of the Examination Committee will forward the names of the members of these Boards to the Controller of Examinations for getting approval from the Vice-Chancellor. There shall be 6-8 thesis/ projects/ internship-projects viva in each session for duration of 3-4 hours. In case of General Viva-Voce the number of students shall be 15-20 students per session of 3-4 hours duration. 2.3 To moderate Examination questions for all courses of all Examinations. 2.4 To propose Examination schedule (for approval of the departmental Academic Committee) to conduct the Examinations properly. 2.5 To make necessary arrangements for holding the Examination of all Theoretical, Laboratory, Project, Thesis, Internship and General Viva-Voce. 2.6 To recommend the names of the Tabulators. 2.7 The relevant Chairman of the Examination Committee shall be responsible to collect the marks from different course teachers/scripts examiners within seven days after holding the Examination of that particular course . The Chairman of the Examination Committee shall send these marks to the Controller of Examinations. 2.8 The results shall be finalized at the end of each Semester. Individual coursegrades and GPA shall be announced within a date ordinarily not later than three weeks after the end of the Semester Final Examinations. 2.9 Remuneration for various works of a teacher related to Examination e.g. Question paper setting, moderation, printing and other charges are to be placed through concerned Examination Committee Proceedings. 3.1 Question Setters and Scripts Examiners of an Examination shall be approved by the Hon’ble Pro-VC through CoE as per recommendation from the concerned Examination Committee of the Department. There shall be two ‘Question Setters’ for each course in any Examination. If a Question Setter is unable to accept the appointment before or during the Examination, he/she should immediately inform the Chairman of the Examination Committee, in that case the concerned Examination Committee shall recommend to the CoE for new Question Setter/ Script Examiner. 3.2 A teacher shall not be allowed to perform the responsibility as Question Setter/ Scripts Examiner of a course if his/her spouse / ward / close relatives (1st blood) is going to attend the Examination of that course. In this regard, a declaration from the concerned teacher is to be made before commencement of every Semester/ Trimester. 3.3 All manuscripts/question papers shall be handed over in a sealed envelope officially or personally or be sent by insured post to the Chairman of the respective Examination Committee, who shall then call a meeting of the Examination Committee and arrange for Moderation of the Question Papers. 3.4 The Question Setter shall be guided as to the standard of knowledge required and scope of the course of Examination by the syllabus prescribed and the Text Book, if any, recommended by the University from time to time. The Question Setter is not expected to set the same type of questions every Semester. The question shall be so framed that there shall be no ambiguity of meaning. The questions should be set covering the prescribed syllabus in such a way that originality and individuality of the candidates may be identified. 3.5.1 To make sure that the manuscripts of questions are as clear and legible as possible, taking special care in writing, so as to ensure accuracy in printing. 3.5.2 No draft copy of the Question Paper framed by him/her shall be retained and all rough drafts and memos concerned therewith must be destroyed immediately after its proper use..
3.5.3 To sign at the bottom of each sheet of the manuscript question paper set by him. 3.6.1 Script Examiners of an Examination shall be appointed by the Controller of Examinations (CoE) duly approved by the competent authority as per recommendation from the Examination Committee concerned. If a Script Examiner is unable to accept the appointment before or during the Examination, he/she should immediately inform the Controller of Examination, in that case the Examination Committee concerned shall recommend to the CoE for new Script Examiner. 3.6.3 All corrections and alterations regarding marks placed in the scripts and marks entered in the Mark Sheets must invariably be initiated by the person making the correction. Over-writing in case of endorsement of marks should be avoided. The wrong figures should be crossed out and the correct figures written in convenient places. Doubtful entries should be indicated by words as well. 3.6.4 If in the course of examining the Answer Scripts the Examiner have reasons to suspect that unfair means have been adopted by any candidate, he/she should at once submit confidential report to the Chairman of the respective Examination Committee, giving the grounds for his/her suspicion. three days of receipt, it will be assumed that the statement sent is correct. Mid-Term Examination (30 Marks): Time =1.5 Hrs. Answer any three questions out of four. Each question will carry 10 marks. There may be two/ three parts in each question. 10 marks (one question) may be specified for MCQ type question. Final Examination (50 Marks): Time= 2.5 hours. Answer any five questions out of seven Or There will be two groups. Group A and B.
Group-A will carry 20 marks, where 02 questions will have to be answered out of 03. Group-B will carry 30 marks, where 3 (three) questions will have to be answered out of 4 (four). There may be two/three parts in each question. 5. Questions Moderation: There shall be two Question Setters for each course. Respective Examination Committee shall recommend the names of Question Setters and Scripts Examiners of each course to the Controller of Examinations for necessary approval by the competent authority. After receiving questions papers from the Setters, respective Examination Committee (approved) shall moderate these questions papers. At least three days’ prior notice shall be given for all members of the Examination Committee. Presence of Expert Member (i.e. External) should be ensured in the moderation of Final Exam. A report/declaration about question moderation (in the prescribed format of Form # Ex-1, as shown in 6) must be submitted to the Controller of Examination. Respective Examination Committee is responsible to print the moderated Question Papers as per number of question papers required for Examination of each course. Course wise printed questions must be kept in a sealed envelope under the custody of the concerned Chairman of Examination Committee / Head of the Department/ Controller of Examinations. No copy of the moderated question papers shall be kept unsealed and all rubbish prints concerned thereof should be destroyed (burn) immediately after moderation. Examination scripts and Examination stationery shall be held in a safe and secure environment until the time for its release to the students. Moderators shall ensure that (i) the syllabus of a course has been covered in a question paper, (ii) the same questions do not feature in every semester question paper and (iii) the printing mistakes are totally avoided. Moderators have the right to ask for clarification if necessary from the Question setters. Moderators have absolute right in making changes necessary in finalizing a question paper. Semester/ Trimester : Spring 20…… Summer 20…… Autumn 20….. Questions moderation for Semesters; 1&2 ( ); 3 &4 ( ); 5&6( ); 7&8 ( ). I/we do hereby declare that, none of my spouse / ward / close relatives shall attend (1st blood) the Examinations of the course/s stated above for which the questions are being moderated. 7.1. To collect Question Papers from the Head of the Department/Examinations Office at least 30 minutes prior to the commencement of the Examination. 7.2 To ensure that the venues of exam are kept open only 15 minutes before the commencement of Examinations and ensure that the Departmental seal being stamped on the front page of the main Answer Script and Additional Answer Scripts. 7.3 To ensure visiting of the Examination halls to observe that the exams are being held smoothly. 7.4 To ensure Invigilators’ presence on duty at least 15 minutes before the commencement of Examinations and to replace the Invigilator in case of their failure to report on duty 5 minutes before beginning of Examination. 7.5 To hand over the collected Answer Scripts (serially according to the ID) to the respective examiner in a sealed envelope with student Attendance Sheet inside (if he / she is present in the examination hall) or submit it to Depts. Office immediately after the Examination is over and to ensure that the signed Attendance Sheet by the Invigilators (Original not photocopy) of the Examinations are submitted to the office of the CoE on the day of Examination. 7.6 To report instantly to the Office of the Controller of Examinations regarding the application for special Examination received due to illness or accident and reported cases (if any). 8.1 To arrive at the Examination Hall at least 15 minutes before commencement of the Examination and report to the Chief Invigilator. Failure to report on duty before the commencement of the Examination may lead to cancellation of the invigilation for the day. 8.2 To draw the attention to the examinees upon their arrival regarding Switching Off their Mobile Phones and to caution them in disposing off any incriminating materials out of the exam hall as none is allowed to leave hall within an hour. Unauthorized calculation is not to be carried inside exam Hall. 8.3 To confirm possession of valid ID and Admit Card or other relevant documents, in order to verify the course/s registered. To ensure signing of the Answer Scripts and the Attendance Sheet together. Preparing of Absentee’s list& to provide it to the Chief Invigilator as per requirement. 8.4 Walking in and around the Examination Hall to resist the examinees’ fraudulent tendencies. Strict invigilation must be ensured by the Invigilator for conduction of smooth Examination. 8..5 Co-relating Serial No. of additional Answer Scripts with the main Answer Script and vice versa by endorsing signatures in both the scripts..
8.6 To collect all the Answer Scripts by serial numbers according to the ID, in order to count these accurately and hand over to the Chief Invigilator. 8.7 Last but not the least to think judiciously before reporting any misconduct of the Examinees, so that disciplinary measure can only be ensured for the offences beyond doubt. The Invigilator shall submit separate report of each case stating the nature and circumstances of the offence clearly with all relevant supporting documents to establish the allegation. The Chief Invigilator shall forward these to the Office of the CoE for necessary action as per decision of the Academic Discipline Committee (ADC) of IIUC. A teacher shall not be allowed to perform the responsibility as an Invigilator of any course, if his/her spouse / ward / close relatives (1st blood) is going to attend the Examination of that course. 9.1 Class Test: There shall be at least one class test and one assignment before each Mid-Term and Final Examination. The class test (not quiz type) shall be of 20 minutes duration and shall be held during the scheduled lecture periods. The dates for the class tests shall be announced in advance by the course teacher. All class tests shall ordinarily be of equal value and test scripts shall be shown to the students to clear their misconceptions or mistakes. The result of each individual test shall be posted to inform the students. All marks of the class tests shall be summed up by the concerned course teacher and submitted to the Chairman of the Examination Committee in a sealed envelope. 9.2 Evaluation of the Examination Scripts: Examiner must put marks as per question inside the Answer Script and question wise summation of marks must be entered on the top of the Answer Script. Examiner must put his/her signature on each script. There shall be Answer Scripts for Practical Examination. 9.3 Announcement of Mid-Term marks: Announcement of Mid-Term marks to the students shall be done by the course teacher as promptly as possible. Answer Scripts of Mid-Term Examination shall be shown to the students to clear their misconceptions or mistakes. A copy of the Mid-Term marks must be submitted to the Chairman of the Examination Committee as well as to the Head of the Department within three weeks of holding the Mid-Term Examination. 9.4 Aggregate of 50 marks: Course teacher shall submit total of 50 marks (i.e. the aggregate of Attendance marks=10, Class Tests marks=10 and Mid-Terms marks=30) in the prescribed Marks Sheet to the Head of the Department and Chairman of the Examination Committee. This should be done before commencement of Final Examination. Course teacher shall announce the aggregate marks to the students as soon as possible. N.B. : In case of the marks allocated for attendance a student shall get at least 6 marks if his/her attendance is 60% or shall be barred from Exam. 9.5 Submission of Final Exam Marks: Marks of the Final Examinations must be submitted within ten days of the commencement of Examination to the Chairman of the Examination Committee as well as to the Head of the Department. There shall be no fraction in aggregate of final marks i.e. summation of (Attendance+ Class Test + Mid-Term + Final Exam.) shall be a round numerical digit e.g. 53.5 will be posted as 54. Hard copy of the marks sheets are to be sent by the Chairmen of the Examination Committee to the CoE. Soft copy of marks sheets are to be sent by the examiners to the concerned personnel of CoE by the respective Examiners. IIUC follows the uniform Grading System for evaluating the academic performance of the students as given in the section 7.1- Part-A. Warning and show cause letter to be served to the examiner who fails to comply with the rules of Marks Submission deadline and this letter will be kept in his/her personal file for future references. Payment of Exam honorarium will be stopped until clearance from the competent authority. Scripts Examiners shall have to collect a certificate from the Departmental Head for Scripts Exam. Bills (Form EX-2 section 10) .This is very important to uphold academic quality work at IIUC. 10. Two Examiner System: In the Faculty of Science and Engineering there shall be two examiners for each theoretical course of each Semester Final Examination, at least one of whom shall be the teacher of the course. Each question paper of a course will be divided into two Groups: Group-A and Group-B. Each examiner will set questions for both the groups and examine Answer Scripts of one of the groups as decided by the Examination Committee. Student will use separate Answer Scripts to answer the questions from each group. Group-A Scripts Examiner of each course of Examination shall submit the scripts mark to the Group-B scripts examiner. A copy should also be submitted separately to the Chairman of the Examinations committee. The Group-B Scripts Examiner will prepare the Mark Sheets (including Mid–Term, Attendance, Class Test marks and Group-A Script Examiner marks) and be submitted to the Chairman of the respective Examination Committee. (This system may be incorporated in other Departments at IIUC). [Approved in the 27th Academic Council meeting held on December 22, 2011 and duly approved in the 166th Syndicate meeting held on December 31, 2011]. 11. Result Tabulation: The Tabulation work will be done after the completion of last Semester Final Examination (One may complete his/her graduation requirement within 6 (six) Semester or may require upto 12 Semesters as the case may be).This work (i.e. marks checking/ posting) will be done by two teachers of the Departmental Examination Committee or by two teachers nominated by the Departmental Examination Committee within 7 (seven) working days after publication of result. Semester Wise Result Book: Each Department shall preserve a binding volume of the Semester Wise Result Book. It is a very important document for a Department. This result book will help to analyze about the attendance as well as course wise average GPA of students of different semesters in the Academic Committee Meeting. Course wise, all Answer Scripts shall be preserved in the respective Department as per semester-wise at least for 02 Semesters. Final result (after graduation) of the outgoing students shall also be preserved in each Department ( hard copy).Semester wise questions may be preserved. This is certify that Mr. …………………………………………………Lecturer/Asst. 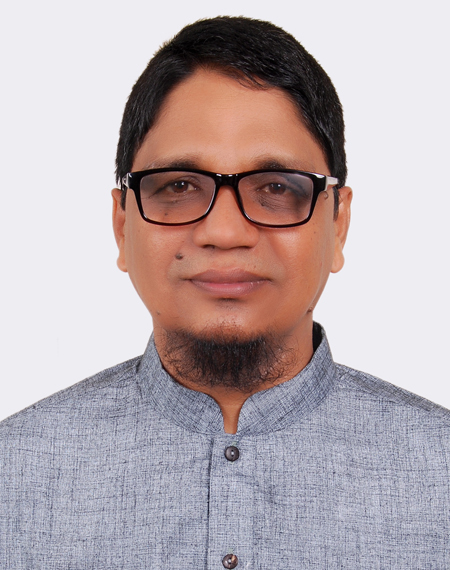 Prof./Asso.Prof/Professor (Regular/Adjunct), Department of …………………is the script examiner of Undergraduate/Post Graduate Courses of DIS/QSIS / EEE / ETE / CSE / Pharmacy / DBA / E&B/Law / ELL in Spring /Summer/Autumn 201… Semester. She/he has submitted the marks sheet to the Chairman of the Examination committee and a copy of marks sheet along with other documents (answer scripts and students class attendance sheet) to Head of the Department within/after 7 (seven) days of the end of Final Examination. No request for correction in aggregate marks as described in section -9.4, part-B ( i.e. marks on attendance, class tests and Mid-Term Examination) shall be entertained as it has been announced to the students and finalized by the course teacher before commencement of Final Examination. Violations (part or full) of Examination rules including negligence, insincerity and late submission regarding posting of students’ marks will be considered as serious offence on the part of the Examiner. (172nd Syndicate meeting held on September 10, 2012). 15.1 Admission Transfer: A candidate seeking admission on transfer from other Institutes /Faculty or Universities should apply to the ACAD of the University. ACAD will refer the case to the Head of the Department concerned and also to the Equivalence Committee. On receiving the opinions of the Head of the Department and of the Equivalence Committee, the matter will be placed before the Pro-Vice-Chancellor. The Pro Vice-Chancellor’s decision will be communicated to the Head of the Department and the candidate. 15.2 Credit Transfer: Credit transfer may be allowed in the parallel programs or the same program to same level program (i.e. Bachelor program to bachelor level or Master program to Master level) or, from a previous incomplete program to same level as a continuation of program from other institutions. [Approved in the 26th Meeting of Academic Council Date: April 13, 2010]. Students from IIUC may also avail such opportunity to the Institutions under MoU. The application for Credit Transfer should be submitted within the regular Registration period (i.e. within 04 weeks of the commencement of a Semester/Trimester). All accepted/exempted credit will be inputted under the Heading of “Accepted/Exempted Credit has taken at other University” instead of using Semester. 15.2.2 Credit/Course Exemption: Credit Exemption will be applicable for the completed program to same level programs or one step below to upper level program or similar course in the same level program (i.e. Bachelor program to bachelor level or Master program to Master level or Bachelor to Master or completed same course in admitted program). Exempted courses shall be transferred under the transferee student’s ID No. and be shown in the transcript with marking ‘EX’ without charging any tuition fees. Credit/s or marks or grade points will be ‘Zero’ for the exempted course/s which will mean as deduction of credits from the total degree requirements. The application for Credit exemption should be submitted within the Registration period of a Semester/Trimester (i.e. within 4 weeks of the commencement of a Semester/Trimester). 16. Right to Make Changes in Rules: The University authority reserves the right to change the requirements and rules without prior notice as and when the circumstances warrant. Such changes shall take effect as and when the competent authority so determine.